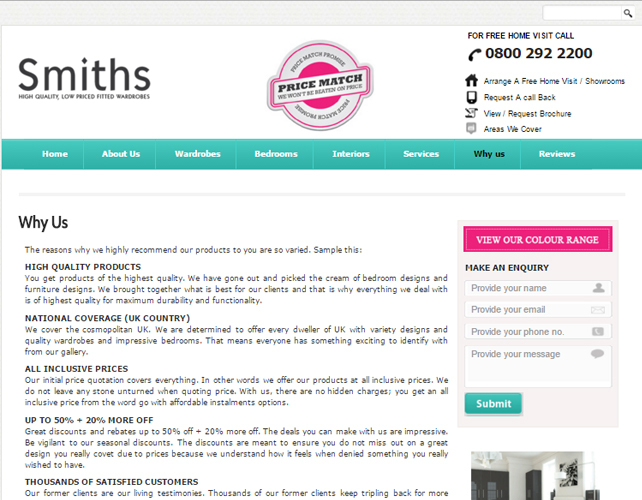 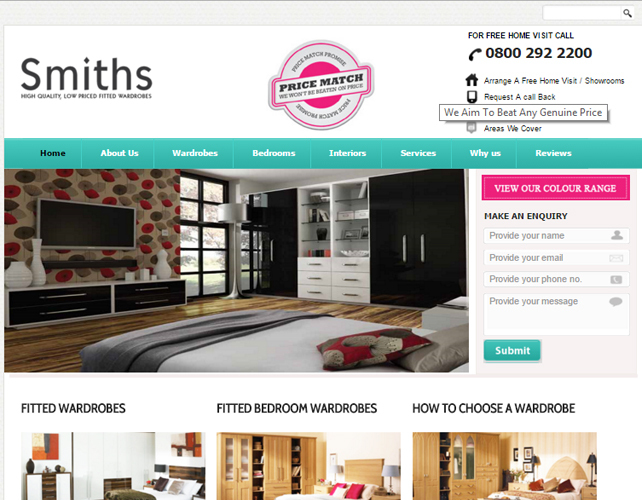 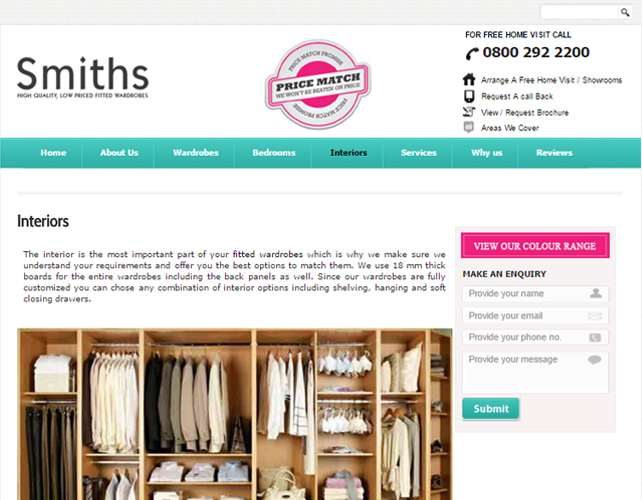 Smiths interior designer specializes in making the best fitted wardrobes at the most affordable price. 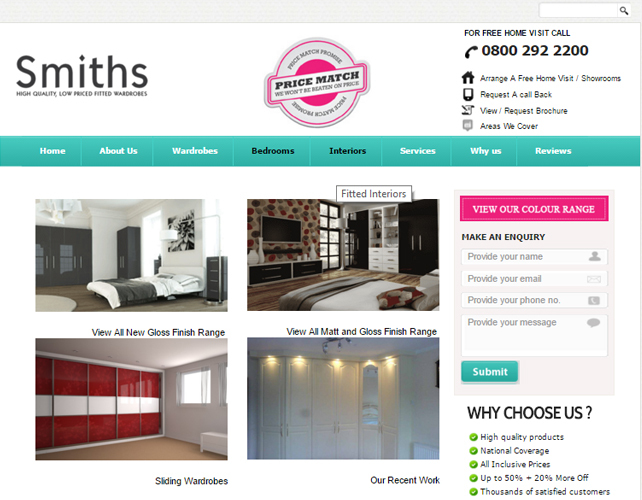 Fitted wardrobes are very popular these days as they can be customized according to the space available in your room.Smiths make high quality products and offer more than 80 styles and finishes which come in both gloss and matt finish. 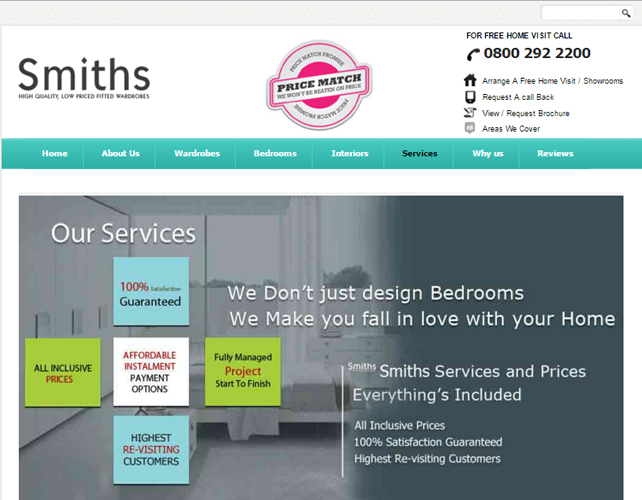 You can choose from their various stylesconsidering the size and shape of your bed room.The rate quotes they offer are all inclusive prices and they also provide the best customer service to all their clients.